I have succumbed somewhat to the understanding that there really is no meaning in anything. I used to think everything had meaning, but after studying W.V. Quine, I understand better why meaning cannot really exist. If one reads and understands Quine’s On What There Is and Two Dogmas of Empiricism that one person must come up with some big evidence to actually prove that one truth statement can mean another or do any other function that meaning has said to have. This comes from Quine because of the two dogmas: 1) analyticity, and 2) reductionism. My concern here is analyticity and to help myself and the reader of this writing to understand why analyticity can be shown false and can also show ‘meaning’ to be a false hope. “Kant conceived of an analytic statement as one that attributes to its subject no more than is already conceptually contained in the subject. This formulation has two shortcomings: it limits itself to statements to subject-predicate form, and it appeals to a notion of containment which is left at a metaphorical level. But Kant’s intent, evident more from the use he makes of the notion of analyticity than from his definition of it, can be restated thus: a statement is analytic when it is true by virtue of meanings and independently of fact” (Quine). So ultimately what I want you to get from that quote is that the analytic is statements that are true ‘by virtue of meaning’ and ‘independently of fact.’ Most important is that analytic statements are said to be true by virtue of their meanings. This has so much importance because Quine attacks the use of the word meaning because it is loosely and not well understood or defined. In Two Dogmas of Empiricism he ultimately concludes that there is no meaning at all. He rejects not only reductionism but also analyticity. He rejects analyticity by rejecting meaning. He rejects meaning by talking about why certain logical truths and synonymies are not meaning and can not be meaning. Beginning with logical truths he discusses reference and extension to not be meaning. Logical truths are exemplified by Quine with Morning Star and Evening Star. They both are sightings of the planet Venus, and they both are names for Venus, and both refer to Venus. Morning Star does not mean Evening Star or Venus. This is just naming or reference. These things like certain logical truths and synonymy have been posed as clarification and understanding for what meaning is, and Quine simply paints these as failures to define and understand meaning. Reference and naming are both of singular terms. Extension is a logical truth that is of predicates. Extension is often thought to be meaning. An example of extension would be creating 2 truths about a certain entity as Quine puts it, but he paints this as another failure to understand meaning. If I am talking about a man, 2 logical truths about it would be ‘a creature with a brain’ and ‘a creature with a stomach’. Both statements extend to the same ‘entity’ but just because this is so does not mean that they mean man. These are obvious logical truths that Quine says is not meaning. ” In formal and informal work alike, thus, we find that definition – except in the extreme case of the explicitly conventional introduction of new notations – hinges on prior relationships of synonymy. Recognizing then that the notion of definition does not hold the key to synonymy and analyticity” (Quine). S0 definition is not at all meaning because of how definition continues from word to word and phrase to phrase and being referred to those because of the synonymies that create the huge chain. Definition is just related to more synonymies and does not have meaning and cannot hold analyticity in any defined word or phrase. Definition and its relation to prior relationships of synonymy are more easily understood when it is understood why most synonymies are not meaning. Definition not being meaning, Quine goes on to specific synonymies. Interchangeability is a certain kind of synonymy that Quine proves to not be meaning. He goes as specific to talk about interchangeability salva veritatae or interchangeability preserving truth. He declares the synonymy in interchangeability salva veritatae, but no meaning at all. For example, ‘bachelor’ and ‘unmarried man’ are interchangeable salva veritate and synonymous of course, but they are not meaning because what if bachelor is referring to ‘bachelor of arts’, ‘bachelor of science’, or ‘bachelors buttons’ as Quine puts it. In those cases bachelor would not mean unmarried man, so synonymy in the case of interchangeability salva veritatae is not meaning. He also includes that interchangeability salva necesitatae or interchangeability preserving necessity is synonymy yet not meaning because necessity is confusing as to its meaning and causes problems. The issue here is that interchangeability is synonymy yet its not meaning because some words can be synonymous and interchangeable yet not really mean the same thing. He declares this to make difficult the understanding of what meaning is. 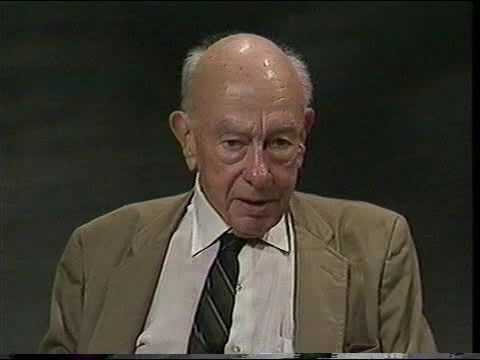 Quine continues with his discussion about meaning and synonymy and his rejection of analyticity. I could talk for a long time about it, but I simply want to discuss the basics to understand why he rejects analyticity. In the end of the essay he uses his premises to say that the boundary between analytic and synthetic has never really been drawn. There have been attempts at defining the two in making the boundary, but clarifications have not been given to really make that dreaded distinction. If you read Two Dogmas of Empiricism by Quine and get nothing else out of it, if you get out of it that there is no meaning, then that is good enough. I think that there is analyticity. If a person understands philosophy that person has their own understanding of the analytic/synthetic distinction that is difficult to put into words good enough to convey understanding of it from one person to another. I really think that there is analytic while at the same time it can be proven that there is not. I have my understanding of analytic and can understand why there is no analytic. Analyticity is a complicated subject because understandings of it are not the same between people. Coming to an opinion about whether one thinks analytic exists is a difficult one especially because deciding whether one thinks there is meaning is an equally hard thing. Meaning is a hard thing to define or understand because of issues of logical truths and synonymies exemplified by Quine. My opinion is that there is no meaning and that it is all synonymy or logical truths of one form or another. Meaning is like analytic in that it can be understood by a person but not well put into words. I feel like I can understand meaning, but then I can logically reject it at the same time. What do you think? Do you think there is analytically true statements? or meaning in general? I am stuck and do not know what my stance on the issue is because I read Quine’s great rationalization on why analyticity, meaning and reductionism are not in existence and then at the same time I can think as if they do. I am just not sure and need further contemplation. Please say what you think on Twitter or in comment section. Thanks for the support. G.E. Moore’s Proof of an External World: If we cannot prove it, can we know it? I have previously discussed Wittgenstein’s book On Certainty that he wrote towards the end of his life, where he gets his frustration out mostly by correcting Moore’s essay Proof of an External World (and A Defense of Common Sense). I am looking at Moore’s essay and looking at beginning propositions of Wittgenstein’s On Certainty and thinking about their arguments. What Moore’s essay ultimately boils down to is him saying that he can know things without proving them. He bases that upon his idea of rigorously proving things along with other things. Moore begins by saying that he can prove the entire external world by saying “I have one hand here, and another here.” He says this and then says that what he said conforms to a rigorous proof. “I can prove now, for instance, that two human hands exist. How? By holding up my two hands, and saying, as I make a certain gesture with the right hand, “Here is one hand”, and adding, as I make certain gesture with the left, “and here is another”. And if, by doing this, I have proved ipso facto the existence of external things, you will all see that I can also do it now in numbers of other ways: there is no need to multiply examples” (Moore). He then states that what he just said was a “rigorous proof” for the external existence of 2 hands. He proceeds even further to state what qualifications for a rigorous proof are: “Of, course it would not have been a proof unless three conditions were satisfied; namely (1) unless the premiss which I adduced as proof of the conclusion was different from the conclusion I adduced it to prove”, so in short, the conclusion is different from the discussed premise,”…. ; (2) unless the premiss with I adduced was something which I knew to be the case, and not merely something which I believed but which was by no means certain, or something which, though in fact true, I did not know to be so;” in short you are certain about the premise, which certainty and knowing is the ultimate discussion about Moore’s paper, and I shall further discuss here later, “…and (3) unless the conclusion did really follow from the premiss” (Moore). So, to Moore, for a rigorous proof, the conclusion and premise must be different, you are certain of the premise, and the conclusion follows from the premise. If, in ones argument, you can satisfy these three requirements, to Moore, you have proven what you have been trying to prove. “But another reason why some people would feel dissatisfied with my proofs is, I think, not merely that they want a proof of something which I haven’t proved, but that they think that, if I cannot give such extra proofs, then the proofs that I have given are not conclusive proofs at all. And this, I think, is a definite mistake. They would say: ” If you cannot prove your premiss that here is one hand and here is another, then you do not know it. But you yourself have admitted that, if you did not know it, then your proof was not conclusive. Therefore, your proof was not, as you say it was, a conclusive proof.” This view that, if I cannot prove such things as these, I do not know them, is, I think, the view that Kant was expressing in the sentence which I quoted at the beginning of this lecture, when he implies that so long as we have no proof of the existence of external things, their existence must be accepted merely on faith. He means to say, I think, that if I cannot prove that there is a hand here, I must accept it merely as a matter of faith – I cannot know it. Such a view, thought it has been very common among philosophers, can, I think, be shown to be wrong – though shown only by the use of premisses which are not known to be true, unless we do know of the existence of external things. I can know things, which I cannot prove; and among things which I certainly did know, even if (as I think) I could not prove them, were the premises of my two proofs. I should say, therefore, that those, if any, who are dissatisfied with these proofs merely on the ground that I did not know their premisses, have no good reason for their dissatisfaction” (Moore). The entirety of this ending section of the paper refers to what one says when saying “I know.” His opposition says that one only knows when it is proven, and when premises cannot be proven, the whole conclusion is proven. Responding to all of these oppositions to his proving qualifications and to how he gauges how he knows something, he ends up referring to Kant’s statement that when one cannot prove something, one does not know it, and must resort to having mere faith. Thinking back to Kant’s discussion of noumena, we cannot know of their existence and we must understand that there are ways of understanding things beyond empirical observation. Kant talks about faith when introducing noumena in that noumena cannot be really known. Moore talks about Kant when defending his argument (not necessarily the part in Kant’s work about noumena) by saying that if he has faith in his right hand being there, he can still know it. Using again the phrase “what this boils down to”, what this boils down to is that what can be proven (proven rigorously beyond what Moore defines as rigorously proving in that the premises are proven in different ways to help prove even more the ending conclusion) is known, and what cannot be proven can be known in a way less strict sense (not with all the logical proofs) where we have faith in it, yet it is not really strictly Wittgensteinian defined ‘known’, yet Moore thinks with faith, one can ‘know’ in all forms of the word what cannot be rigorously logically proven. Kant thought that faith did not lead to proving or knowing an external thing, Moore thought that faith led still to knowing external things, and Wittgenstein overwhelmingly trampled on Moore’s opinion here with his book On Certainty. I think that when looking at these few arguments about what it means to ‘know’ anything, the word ‘know’ should be thought of and use in the strictest sense especially when trying to understand the arguments and formulate individual opinions on them. Moore thinks of ‘knowing’ something as not having consistent proof (in my opinion) but having faith in things such as that there is a right hand here. 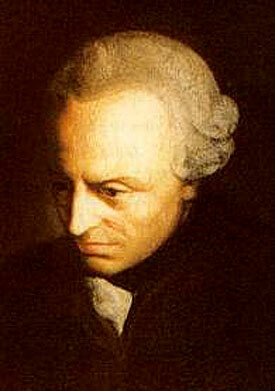 Kant believes in faith being there for minimal understanding, but it doesn’t denote ‘knowing’. Finally, in Wittgenstein’s On Certainty he makes the word know, knowing, knowledge and any other words like it to be as strict as possible. ” 14. That he does know takes some shewing. Wittgenstein goes on to cite Moore and say more things about his argument. One thing I want to make known about Wittgenstein’s argument is that he thinks that Moore’s use of know, knowing, and knowledge is redundant, repetitive, and does not help his overall argument. If you have a library near you, like a college library, it probably has a philosophy section and may have On Certainty by Wittgenstein, or if you have the means pick it up. To get Moore’s essay Proof of an External World go here: http://faculty.uml.edu/enelson/g%20e%20moore,%20external%20world.pdf I say that because there are many arguments that Wittgenstein specifically picks on from Moore’s essay, and there are many other things to think about and discuss besides the single point I am going to make from here on out, so if you want a more wholly picture of Moore’s opinion and Wittgenstein’s opinion, read the essay and read some of the book (since I do not think reading all of On Certainty is necessary and if you want to read a whole book of Wittgenstein read Tractatus Logic0-Philosophicus). First of all, my opinion is that Moore’s proof of an external world and his qualifications for a proof that he used are faulty in actually making knowledge of external things. It all comes down to that Moore does not feel the need to prove his premises, and then he says that having faith is proof of external things, and it is knowing external things. I am a large holder of faith in things I have not empirically observed and proven, the only reason being that I have not found a way to prove their external existences beyond faith. Faith is similar but not equal to knowledge, and I think that when one says that faith equals knowledge, it is merely a cop out in that that person will not take further efforts to come up with logical proofs for what one has faith in. Its hard to say how much proof there is in faith, and how much knowledge there can be had in any faith at its face value. This is because faith varies from what faith is had in, how the faith is had, and a plethora of other factors that go into faith in one thing. If I have faith in God, which I do, I feel like I have total knowledge about Him yet I do not have logical rigorous proofs for it. I feel like I have full knowledge because of my intimate and loving faith in Him, but I want to create a logical process for further proof of things others might not see but I still have faith in. Moore just says that faith equals knowing things external, but that leads to ridicule from logically sensible philosophers and people like Wittgenstein. This tells me that faith feels sufficient for knowledge to those who have faith in something external, but if we want to show others about this thing and prove it to others for the entire benefit for everyone and ourselves, we need a logical process to create a rigorous proof for things’ existences like God. In the end, I hate to say this, but faith is not sufficient for true knowledge in its strictest sense. Moore is copping out philosophically when he says that faith is equal to knowledge. Wittgenstein isn’t really getting there either when he tramples on Moore’s argument rather than just removing a few things, polishing it, and building upon it. I do not know what that logical process towards a rigorous proof of external things not empirically observed would be, but I think it should be something philosophers and logicians should progress toward. It would be nice to have logically rigorous proofs for noumena and God, or even monads and forms. Then metaphysics would be generally more accepted rather than rejected. This is a difficult thing to just say should happen, but I think it should have efforts put toward it rather than just saying that faith is knowledge. To actually figure out how to prove external things that are phenomena or noumena, it is my opinion that our sensations should be analyzed more than they ever have been. I say this to mean that we should analyze sensations beyond just the six senses. I like to think of it in the way that we should look at our impressions (using Hume’s term in the Origin of Our Ideas). Impressions being things entering our perception with most violence and force. Impressions are what I take to be emotions, passions, feelings, and sensations. For example, I find an impression to be the event that one has a direct or indirect conversation with God. I have not had a direct one, but others I know have. An indirect one I have had is where I ask Him for something in particular to really help my horrible situation out. After not getting it for awhile and asking Him again, soon after, it immediately occurs and I immediately realize why He waited until now and why he put me in the problem initially. Along with this understanding, I would have amazing emotional feeling because I can feel the things that have happened before me, and I know from who they come. This is one example of an impression that I think should be examined further to get from faith in noumenal external things to actual knowledge in the Wittgensteinian sense. I just think that faith does not denote knowledge even if it gives us real pure understanding. Thanks for the support, and my apologies if this was too long.